Under the banner of tradition. The P6000 has become the benchmark for grip on wet and dry surfaces. All with regular tread wear. Its wavy tread pattern – combined with the marked continuous central groove – ensures rapid expulsion of water from the contact area. It is also available in the P 6000™ POWERGY™ version emphasizing the features of comfort and reduced sound emissions. 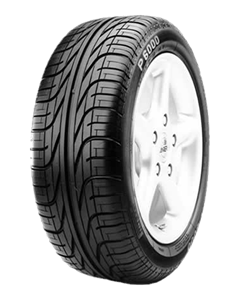 Thanks to the performance of the tyre, which responds actively to changes in the conditions of the road surface and to operating temperatures, the P 6000™ and the P 6000™ POWERGY™ ensure relaxed driving in total safety. Approved for: Alfa Romeo, Audi, Ford, Hyundai, Jaguar, Lancia, Mercedes, Opel, Peugeot, Porsche, Saab, Seat, Skoda, Volvo, Volkswagen.